Momma Told Me: It's how you see the world, not what you see it through. It's finally happened, the young woman that prances around wearing 'fashion' frames, sans lenses, because she thinks it's cool to be like her role models has finagled her way into a pair or permanent frames. And, like every life-long glasses wearer knows, the four-eyed-look just isn't as cool when you don't have the option to take the frames off. And, especially when you are locked into wearing the same 'style' day in and out until your prescription changes, or you hit the lottery. Yes, Sabrina (11) was so completely tickled to learn her eyesight 'barely' qualified for a reading and distance prescription. Little did she know, but I did, that she would quickly be over her single frame choice in just a few days. Sabrina, bless her little glittery heart, chose the exact same frame her mother has worn the past several years. It was a feat in itself that the frame was still in active production, unfortunately, as modern children can be a little misunderstanding, some teasing promptly commenced when her classmates picked up the similarities. Luckily 'Aunt' Jenna knew the perfect answer to the financial roadblock of owning more than one pair of glasses- shopping for prescription glasses online. For years I have trusted various online retailers to provide me with a wide range of trendy frame styles and affordable prices. In fact, I even have a 'wardrobe' of frames on standby. 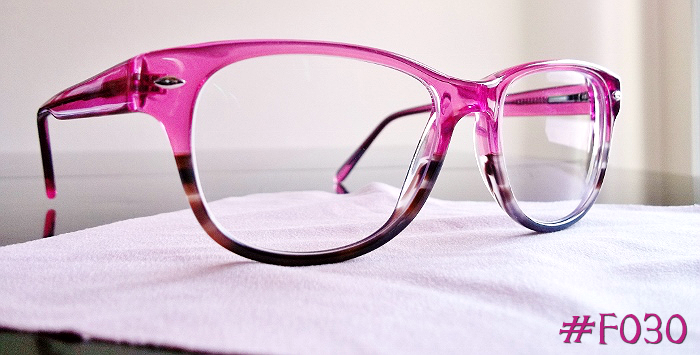 Having more than one pair of glasses when it comes to youth, however, is just plain practical. Kids lose, damage, and forget their frames constantly. Being able to replace a pair of glasses in less than $40, and with a quick turnaround is a must for any modern parent. For Sabrina, picking out a frame she liked wasn't hard, it was one of the featured frames; the #F030 Plastic Women's frame sells for less than $40 on the Firmoo website, and can easily be fitted with clear (fashion), prescriptions, or prescription UV lenses. 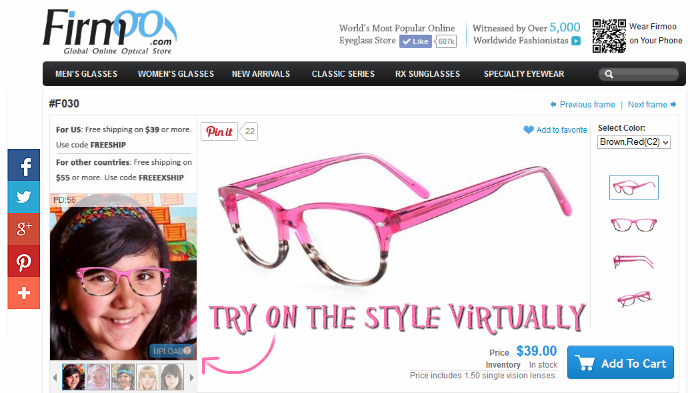 Some people have a hard time judging frame sizing for their face and prescription when shopping online. Sabrina's PD, 56, is a bit on the lower range, and many frame sellers will often discourage larger frames; this company is happy to assist in the best selection for your PD. Firmoo offers a general guideline range for Pupillary Distance, and frame sizing; however, it is the buyer's choice as to whether the frames will be right for them or not. If you're unsure about sizing and spacing, refer to the measurements on the inside arm of your current glasses for the best match. While most think of ordering prescription glasses online, you can actually choose from a variety of tints, UV protection, and even fashion lenses. I spotted colored UV tinting and even rhinestone lens accents among some of the more premium treatments. You can really customize your look on a tight budget, and enjoy speedy, free, shipping with basic scratch resistant lenses included. Bifocals, and light polycarbonate lenses are available for a nominal up-charge. Sabrina's new Firmoo glasses arrived in about 5 days, with free US Shipping on orders over $39, and free International Shipping on orders over $55. 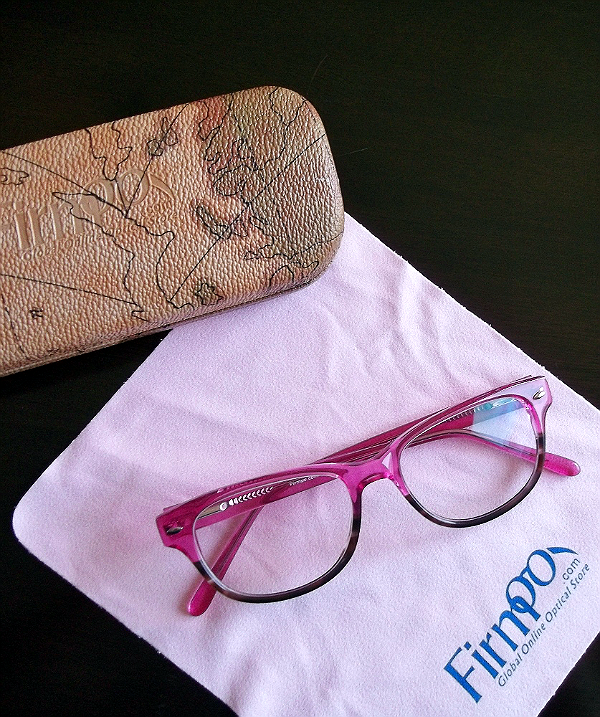 The sparkly new glasses arrived nestled within a matching Pink cleaning cloth, inside a complimentary case. They were beautiful and exactly what we'd envisioned from the many customer and stock photos online. 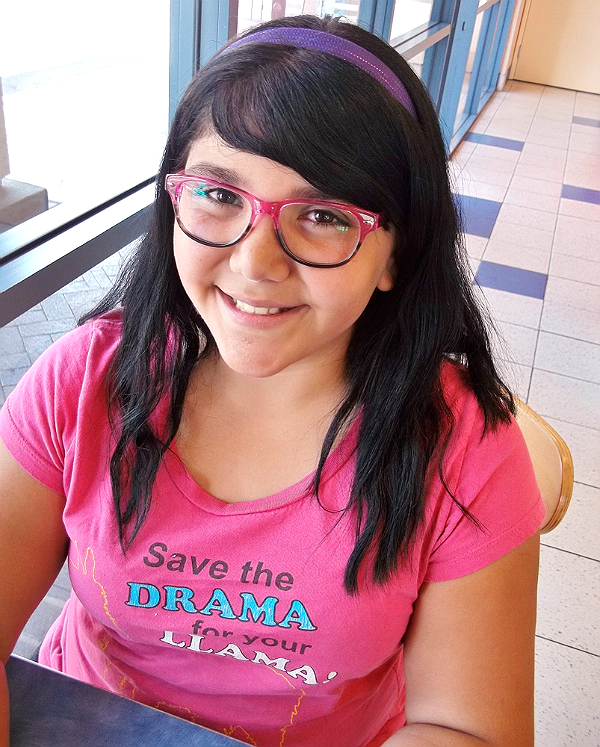 A truly perfect fit for the bubbly, and very girly, but slightly nerdy, 11-year-old Sabrina. It's been over a decade since I've paid 'sticker price' for prescription glasses, and I see absolutely no reason to stop saving 80%+ through shopping online at fine retailers such as Firmoo! What Daughter Says: Don't force yourself into a style corner with boring frames. Enjoy multiple pairs of prescription glasses for the price of one, when you shop glasses online. Five Momma Told Me readers will win a $30 online gift code for Firmoo.com! I haven't tried frames quite like those, but I'd like to. I like the #F1007 Tortoise. I really like the F1003! I like #F1002 - Tortoise. I've been wearing the same pair all year. 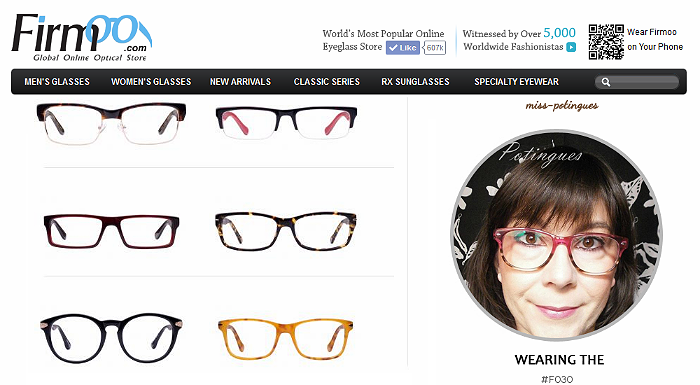 I'd love to mix it up with a black or tortoiseshell geeky style. Let's just say... my life will not be complete until I own the Rena5820 in black and white! OMG LOVE THEM!